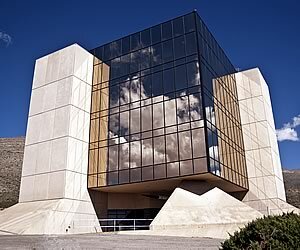 Our second day in the New Mexico sunshine began with a trip to the New Mexico Museum of Space History (that's it above), which also houses the International Space Hall of Fame. Alamogordo is rich in its history of rocket development and testing, and this museum is a must-see if you're in the area. 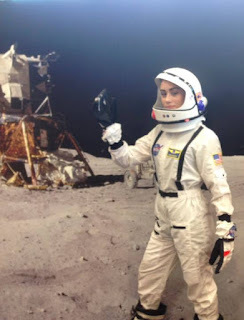 Lots of cool exhibits inside and out, including a moon rock! And a genuine astronaut toilet! And there's an awesome area where kids and adults can suit up in NASA gear and take pictures in front of a lunar landscape. 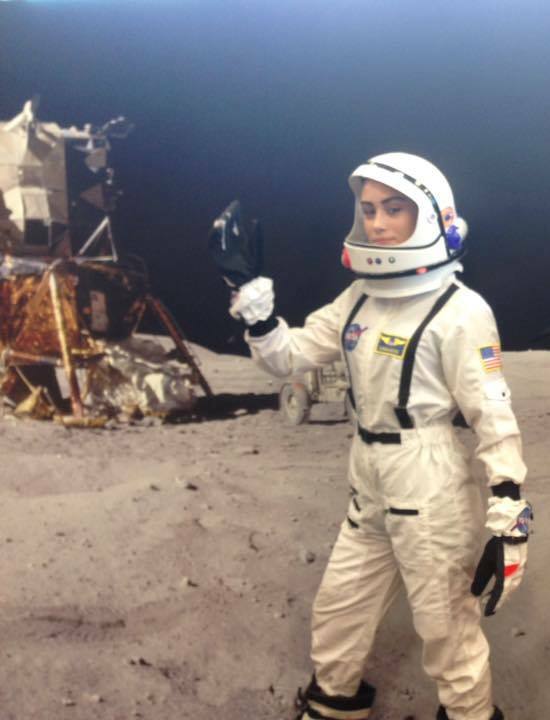 Anna looks awesome in her astronaut gear! After that, we loaded up a cooler full of water, waxed up some saucer sleds, and headed out to one of my favorite teenage hangouts back in the day: White Sands National Monument! 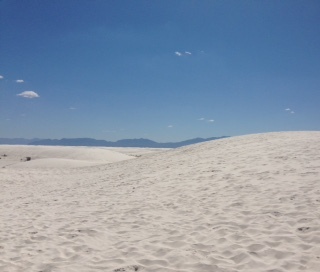 Made of pure, white gypsum sand, White Sands is something you have to see in person to believe. Once you drive to the center of the dunes (275 square miles of them), the brush starts to disappear and there's nothing but towering dunes as white as table salt, waiting to be climbed, sledded down, jumped on, and rolled down. We returned home, full of sand and pleasantly exhausted. We also made a stop at the gift shop where I unloaded entirely too much money.